This is a critical analysis of the monography written by V. G. Zalesov and I. V. Kulikova, lecturers of Tomsk State University of Architecture and Construction. The monography is devoted to the architecture of wooden tenement buildings of the late 19th – early 20th centuries in Tomsk. The monographer made a significant contribution to the research of the vanishing wooden houses that had been built in cities before the revolution. The scientific importance of the work is pointed out. Its text and graphic materials preserve and hand down to the descendants the layer of national culture which is being irreparably lost in the cities of Russia. MEEROVICH, Mark. The Wooden Heritage of Tomsk. 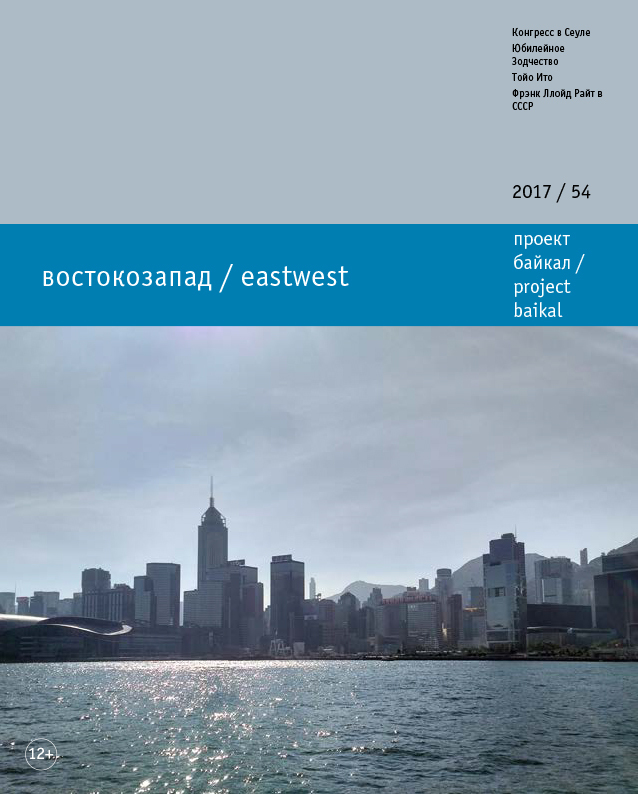 project baikal, Russian Federation, n. 54, p. 143, dec. 2017. ISSN 2309-3072. Available at: <http://projectbaikal.com/index.php/pb/article/view/1267>. Date accessed: 23 apr. 2019. doi: https://doi.org/10.7480/projectbaikal.54.1267.